I met Julie and Noah Przybylski at a beer dinner at the Vintage Brewing Company. I truly believe they are the up and coming cooking couple in Madison. Both down-to-earth and both very passionate about cooking, I think we can learn a lot from both of them. Julie works at the Learning Garden, a local childcare facility, and if I could pass as a five year old, I would totally sneak in so I could eat her cooking. 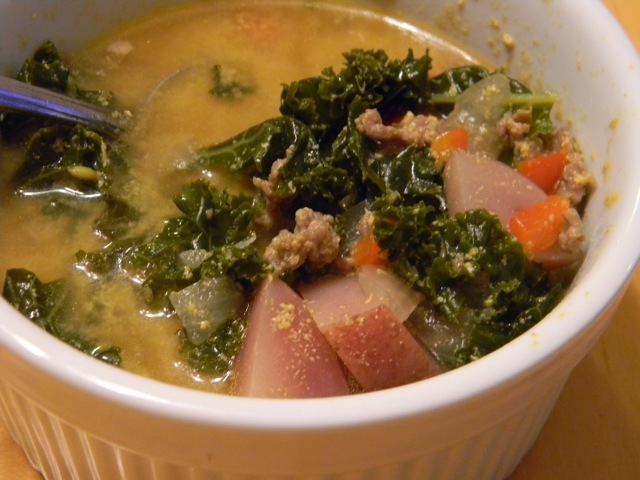 To read more about Noah, check out my interview and his amazing recipes for an easy frittata and yummy kale sausage soup. But today, it’s all about Julie! 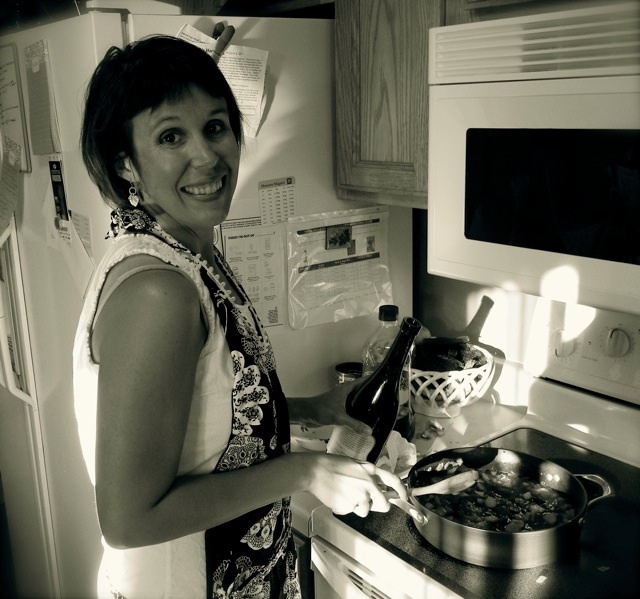 Julie began her cooking career at the local Pizza Shop in Cleveland, Ohio. After high school, she attended Indiana University of Pennsylvania (IUP) Academy of Culinary Arts in Punxsutawney, Pennsylvania (yes, the home of Punxsutawney Phil the groundhog). After culinary school, she worked at Striped Bass, Incorporated, a high-end seafood restaurant in Philadelphia and then worked at Everest in Chicago where she met her husband, Noah. Noah and Julie moved to Madison in 2005 and both worked at Harvest. She has been the executive Chef at the Learning Gardens for the last five years. She also works part-time as a swing cook at Blackhawk Country Club. 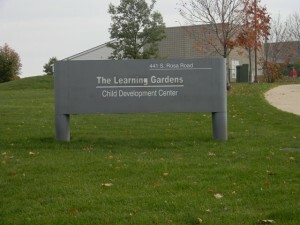 The Learning Gardens is a childcare facility in Madison with children ranging from infants to five year olds. 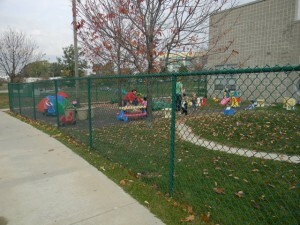 There are 120-140 kids (including infants) on any given day. Graduates of the program can return during the summer or on vacation days. On average, Julie cooks for 112 kids.Coming from a professional chef background, it was a big transition of cooking for people who are seeking out your food when they come to the restaurant to cooking for a (literally) captive audience. The food is served family style in the different classrooms. 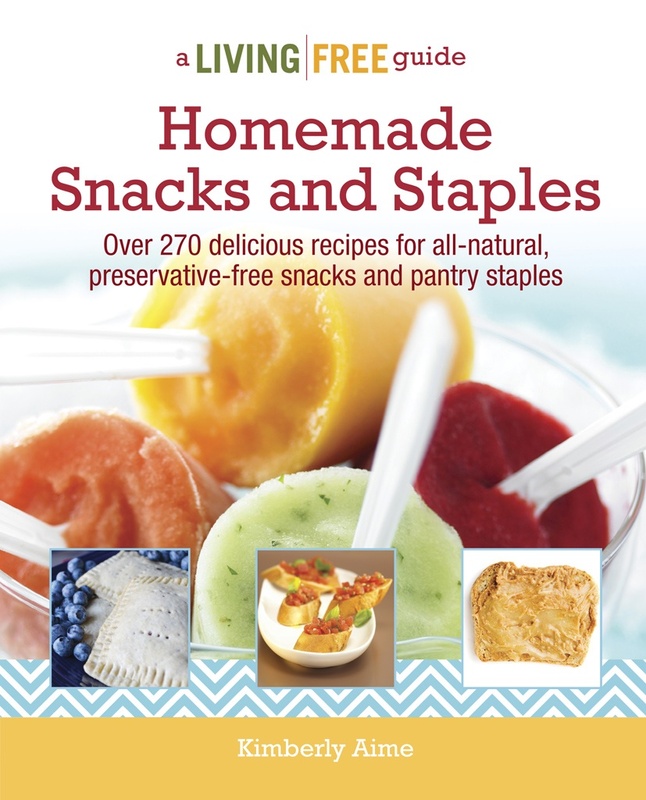 Julie is responsible for providing a breakfast, morning snack, lunch, and afternoon snack. 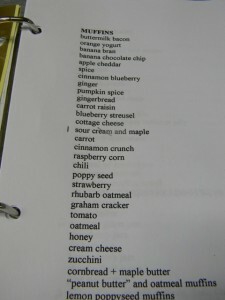 Each meal must include a protein, fruit, starch, and vegetable. Julie sells leftover meals and baked items at the beginning and end of the day for the parents. As the chef for a facility with a budget, she deals with many of the same issues as the common cook. She must provide meals every week for the same people, keep costs low, and waste nothing. On Monday, she takes a look at her inventory and plans the meals around what she has. The core of her planning is a green binder. 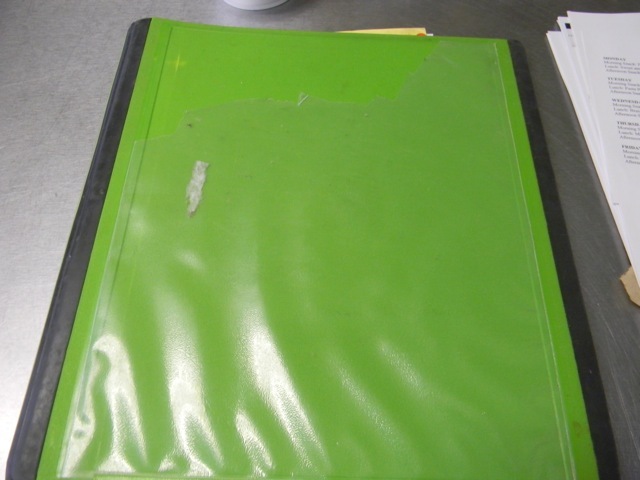 In that binder, she has a ten-page list of meal and snack ideas. To be honest, I thought it was just brilliant. 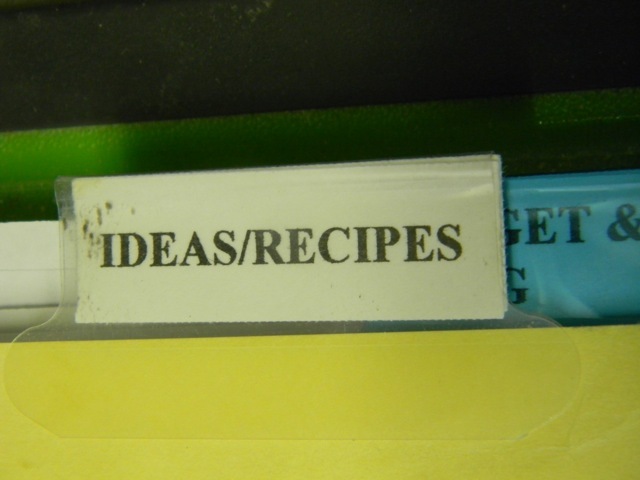 We all have our standard, reliable recipes. Why not type up a list so we can just quickly skim it over when we need to plan for the week? When she is buying food from her vendors, she bases her purchases off of what is in season and what is on sale. With the extra money she brings in by selling her leftovers and baked goods, she can also allow a splurge once in awhile. As you can see, Julie runs the daycare like a really big household and I think we can learn a lot from her. She serves fresh vegetables at least once a week and fresh fruit three times a week. Baked goods three times a week. 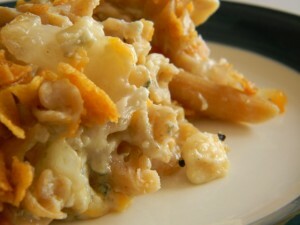 A baked dish or casserole once a week. A pasta dish once a week. A sandwich once a week. Two ‘challenge’ meals a week. For example, the week I interviewed her, the challenge meals were the braised beef and a Thai basil tilapia. With these ‘rules’ set in place, planning becomes more of a fill-in-a-blank solution rather than a brainstorming session. Kids are tough critics. Julie talked about the adjustment of not taking things too personally when food is sent back to the kitchen. In the restaurant business, this is kick in the stomach, but with four year olds? Maybe they just didn’t feel like eating that day. 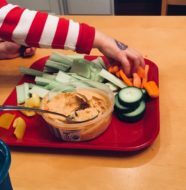 Over the last five years, here are some of the lessons that she has learned about kids and eating. Kids have more taste buds than we do. Kids have something like 10,000 taste buds and adults only have about one fourth of that. So, if something tastes bitter to us, it tastes a lot more bitter to kids. Julie has learned to under season her food so that the kids will eat it. If they can’t see it, they will eat it. Cut up veggies and onions super small and they are more likely to gobble it up. Kids like control. Taco day is a super popular day with the kids because Julie keeps all the ingredients separate so they can assemble their own tacos. You have to be a salesman. When Julie first introduced them to mangos with whipped cream, the teachers told her that at first, the kids wouldn’t touch it. After the teachers told the kids that it tasted like ice cream, they couldn’t get enough. If you expose children to a lot of flavors early on, they won’t be as picky as they get older. When Julie first started at Learning Gardens, it was a big transition for the kids who had been there awhile. The five year olds that were infants on Julie’s first day accept a lot more different foods than five year olds who were there when she arrived. Julie is a wealth of cooking knowledge and she had some great, practical advice for the new cook. When it comes to recipes, method is the key. Read the recipe. Read the recipe again. Memorize the method, the steps of what you are about to do. Don’t cook until you have a thorough, a so-thorough-you-could-recite-the-method-without-looking-at-it understanding. Work like a pro, clean as you go. Put away ingredients as you cook. It may seem like that it would slow you down, but actually it won’t. Cooking becomes more approachable when you are not faced with a huge mess at the end. I think Manatee may have paid Julie to say this but I can attest that she is right. I have gotten better about cleaning up as I go and it really does make a huge difference. Cook when you’re happy. You’ll like it more and cooking is an emotional extension of you, and don’t you want people eating happy food? It is just food. You are not performing brain surgery. Have fun with it. Experiment. The culinary police will not show up if you do something different than a recipe. Scissors are a great kitchen tool. If you need to cut up food for kids, try a pair of scissors. Even cutting up meat, like beef, you can leave it in the bowl and cut it in really small pieces. She’s making a list and checking it twice. When you are cooking for a big event or just putting together a complicated meal, make a list of everything you have to do and remember. Read it twice. Then read it again. 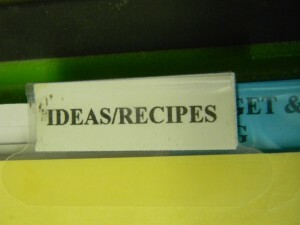 Being organized will make the day or meal go by so much more effortlessly than trying to keep it all in your mind. 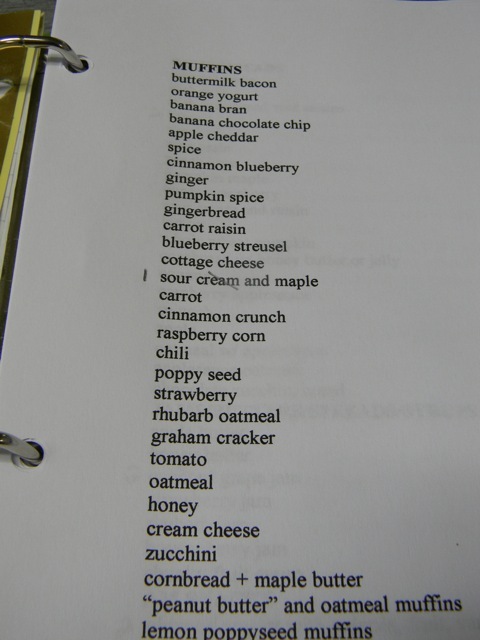 Julie shared with me several recipes and I will be featuring them over the next few months. The one recipe that I just couldn’t wait to try was her version of Kraft Macaroni and Cheese. Not surprisingly, this a favorite at Learning Gardens. Did you know that Kraft has blue cheese in it? Once you have her version, you will never want that powdered orange stuff ever again. 88 Comments on "Meet Julie: Chef for 100 kids and Master of Meal Planning"
Hi! I have just come across some very wonderful news in the cryptocurrency neighborhood . A number of gents in the cryptocurrency area have kindly shared some insider info that a new cryptocurrency is being created and shockingly, it is jointly backed by the finest law firms in the USA and the UK 😀 Seemingly, it is named LAWesome coin! I would be most thankful if anyone into cryptocurrency on this forum could share the latest updates on this coin. I would especially, like to get this coin during the ICO and also take part in a bounty hunt to get some totally free coins. However, there is a shortage of relevant information on this LAWesome coin as I presume that it is a being kept hush hush. I wonder why the law firms have all of a sudden got into the niche? This step will certainly give cryptocurrency more credibility. I just use web for that purpose, and get the newest information. If some one wants to be updated with hottest technologies afterward he must be go to see this web site and be up to date daily. Hello to all, it’s truly a good for me to pay a quick visit this website, it consists of priceless Information. I am relatively certain I will be told lots of new stuff proper here! You might add a related video or a related pic or two to grab people interested about what you’ve written. Just my opinion, it could make your website a little bit more interesting. your weblog posts. Anyway I will be subscribing in your feeds and even I fulfillment you get right of entry to consistently rapidly. Howdy! I just wish to give you a big thumbs up for the great info you have here on this post. Hi it’s me, I am also visiting this web page on a regular basis, this website is in fact nice and the people are genuinely sharing nice thoughts. Very useful information particularly the ultimate phase 🙂 I take care of such info a lot. page dailly and take pleasant data from here everyday.